For as long as I’ve been a Christian (which is my whole life since I was baptized as a baby), I’ve been Lutheran. Growing up and living as a member of the Lutheran Church has influenced my life in countless ways, some I am just beginning to realize as a woman in her 40s. 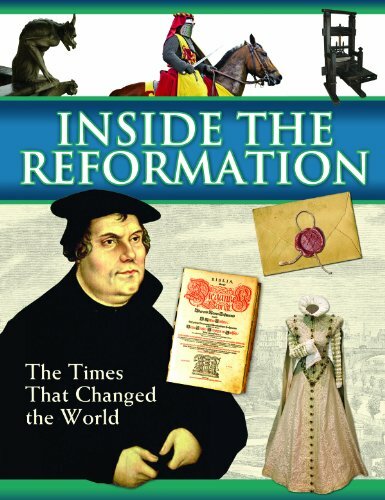 This year marks the 500th anniversary of the Reformation, which has given me a chance to consider, challenge, and reflect on how being Lutheran has changed my life. I grew up in a Midwestern town in Illinois where being Lutheran was deeply woven into life. My father (born in 1937) accepted any Lutheran teaching and practice as if gospel truth. His parents’ parents immigrated to the United States from Germany and spoke only German all their lives. I deeply respect my father and the traits he instilled in me like faithfulness, the importance of family, and how to have an incredibly strong work ethic. Yet along with those he believed that black people are to be avoided, Catholics are going to hell, and no matter what you do, do not bring home a boyfriend with long hair and an earring. My mom (who was raised Disciples of Christ and became a member of the Lutheran church before they got married) tried to influence his thinking in more accepting directions, but my dad was as stubborn as they come. I inherited that stubbornness, too. Being Lutheran was more of an accepted aspect of life in our family rather than a decision. Babies were baptized into the Lutheran church. Church attendance was expected, and you sat in the same pew every week. Everyone else did too. The service was the same every week and most people had it memorized, rarely cracking open a hymnal or bulletin to follow along, except for the songs. I attended Lutheran day school from Kindergarten through 8th grade, without my parents paying tuition because it was part of church membership. My experience in Lutheran day school was excellent. I attended the Lutheran School Association which was a loving community where nurturing and teaching the Bible were valued. I’m sure there were politics within the school structure, but as a child I was largely immune to any of that. My mom volunteered on a regular basis so I felt secure in knowing my family thought the school and teachers were valued. In middle school, the entire school took a week off for Winterim, which was a week of fun classes like decoupage, wood working, calligraphy, and bowling. Winterim was fabulous. I was confirmed in eighth grade, making my public announcement of officially accepting the teachings of God and the Lutheran church, thus becoming an adult member of the church. Confirmation is a big deal. Kids study the Bible and catechism for 1-3 years before being confirmed, and the confirmation ritual typically involves standing up in front of the church and answering questions or sharing a written essay of faith. Confirmation is one of those rites of passage that many of us go through because it’s what you do, and honestly I can say it means more to me now than it did at the time. I’ve come to understand standing up at Confirmation means pledging that you not only believe but would be willing to die for your faith. At the time, most of us pre-teens were mostly excited by the fact that we got to take communion now with wine. I attended a public high school because there wasn’t a Christian one besides the Catholic high school (which was too expensive plus we didn’t do Catholic stuff). After growing up in a small Lutheran school, attending a public school of 3,000 kids was like being thrown to the wolves. I managed to survive high school but it was rarely a pleasant experience. Two absolutely pivotal aspects of my high school years were the youth program at my church led by a wonderful youth leader (who I am still friends with today), and my involvement in a teen evangelism program called Ongoing Ambassadors for Christ (OAFC). During youth group activities I developed a group of Christian friends and I learned to incorporate my faith into my daily life. OAFC taught me how to boldly share my faith. We met together for monthly local events at area churches and in the summers we gathered for a week of Summer Training. Being around other kids who actually thought it was cool to share your faith deeply solidified mine. As part of OAFC we went door to door witnessing. (And yes, we were Christians, not Jehovah Witnesses or Mormon.) I’m not sure how much we brought people to Jesus, but it taught me to be be able to speak my faith clearly and boldly, and I’m forever thankful for that. At an OAFC Summer Training, I met the boy who is now the man who is my husband, so I have OAFC to thank for that, too. When it came time to attend college, choosing a Lutheran college seemed like a natural choice, and I honestly didn’t look at any others. My original plan was to attend Concordia River Forest, but my then-boyfriend-now-husband asked me to consider attending Concordia University Wisconsin. Most of my friends thought I was crazy to switch colleges for a guy and that I was making a terrible mistake, but I proved them wrong in the end by marrying him. College was like a return to my Lutheran day school roots on a bigger scale. I loved college and thrived there, graduating with a Lutheran and public school teaching degree. My husband attended the Seminary and we had a one year vicarage at a church in Kansas. Today, we have been in ministry for almost 20 years and served at 3 different churches. Life as a pastor’s wife is not exactly typical, but I have been blessed that overall it’s been a great experience. Ministry is humbling, challenging, and always we are growing. Our denomination is Lutheran Church-Missouri Synod, which matters when you are in the Lutheran church as deep as we are. In this hilarious Cheers episode, Woody learns that his bride-to-be is ELCA instead of LCMS and isn’t sure he can marry her. How this slipped into the writing of Cheers I have no idea, but it’s so spot-on it’s a bit spooky. As I have looked back at the Reformation over these last weeks, it’s brought me a new awareness of why the Lutheran Church is as it is. Like studying your family ancestry, you learn aspects that are positive, aspects that are negative, and some that simply are. Each one brings awareness. Here is a link to the doctrine of the Lutheran church if you want to read more in depth about what our church teaches and believes. 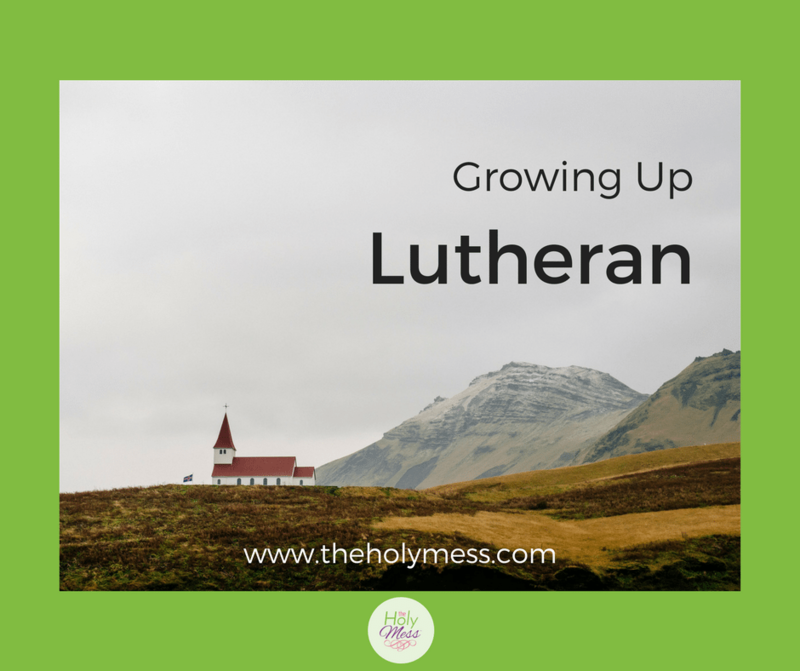 Click here to read the continuation of this post: On Being Lutheran, including what I see as the strengths and growth areas for the Lutheran church. 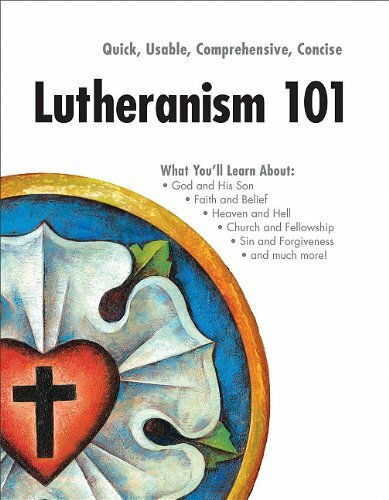 Did you grow up Lutheran or another denomination? How was your experience similar or different? Share in the comments below. What’s Life Like as a Pastor’s Wife? I grew up in the United Methodist, then attended the Reformed Church of America after moving to Wisconsin. As an adult, I attend the Wesleyan Church for a while and then settled in on the Church of the Nazarene where I met and married my pastor husband. I learned more about the Lutheran faith when my family moved to Wisconsin. And I definitely learned about the differences between the Missouri synod and the ELCA. 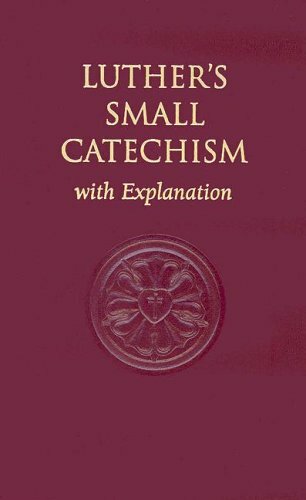 With all this, I have been through 3 different catechisms which have really helped me become firm in my faith and in what I believe. It also helped me understand other faiths. I’m thankful my parents had a strong faith and passed it forward to me and my siblings! Enjoyed reading your post, Sara. I think we life long Lutherans sometimes take our heritage for granted and not the blessing that it actually is. While my grandchildren are the 5th generation of my family to attend our Lutheran parochial school, I largely have my parents to thank for their influence on my life. My dad grew up Methodist but took confirmation classes and became Lutheran around the time he and mom married. He, too, was very active in our church and served as elder, Sunday School superintendent as well as congregation president for many years. Mom was involved in many aspects of the church as well and always “walked and talked” her Christianity. Even as a young girl she would walk to church alone, as her parents did not attend church regularly back then. She and my dad instilled Christian values in their children and were huge influences in their grandkids lives, even though they went home to glory when those kids were all quite young. For me, being a Lutheran was how I was raised but it really is the only choice for me. I wouldn’t want it any other way. It is an uncompromising faith with a wonderful eternal promise that we are given freely, at no cost to U.S.. What could be more inviting and amazing than that? What a beautiful experience, Cheryl! Thank you for sharing that with us. I love hearing how your family was such a positive spiritual influence in your lives, and the peace you have from trusting Jesus as your Savior without question. I did not grow up in the church. When I married my husband I took adult instruction, joined the church and was baptized at 21. His family are all Lutherans. What a blessing the Lutheran Church has been in my life. Our children attended the Lutheran School Association with you. Two of our grandchildren now go there. For me not growing up in the church…joining and sharing my husband’s faith has been a blessing. My parents did not see the importance of a faith driven family. They sent me to a neighborhood church but they did not attend. One of my former pastors said I should look at it as they’planted the seed’. I grew up Lutheran too, in Illinois. I think the big difference for me was that there was a lot of strife in our church. My father, who was the head elder on and off for years, was a part of the donnybrook. Dad was the guy who would fire off the five-page typed single-spaced double-sided letter to the whole congregation calling the pastor out on what he perceived as wrong. A good half of the congregation didn’t like him, and as a result treated his children very poorly. And we were just kids. We had no idea what was going on politically, but it sure did hurt to have people we considered family suddenly turn on us. I spent years as a teenager and young adult trying to leave the church. Trying to find any other answer. I knew I couldn’t be an atheist because I believed in God. I soon found out that Buddhism was not going to work. So I returned to the Christian religions and started looking around. Here is what I ended up learning: LCMS doctrine holds up more often than not. I really didn’t want it to, but it does. So here I am, in my 40’s, a pastor’s wife, raising my kids in the church I tried to leave. All I can really say about the whole thing is that I shouldn’t be here, but His grace really is sufficient, and we really are free. I enjoyed your post, Sara, and it actually made me wish I were a blogger, which is a rare feeling for me despite raising two writers! I would write about growing up Baptist, which was actually a very good experience at the time and I am thankful for the opportunity to give Jesus my heart and life at an early age and to experience a lifetime of deep faith due to those Baptist roots. 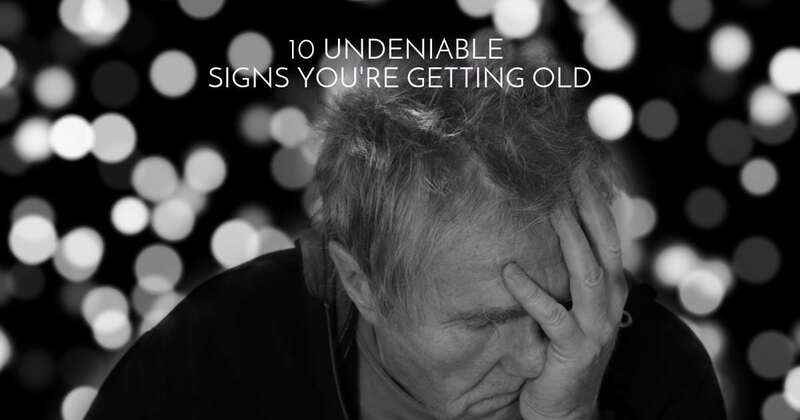 But then I would need to write about why I consider myself to be a “recovering Baptist” who has spent much of my adulthood trying not to fall off that wagon. The Baptist faith is centered on the grace of Jesus: there is nothing you can do to work your way into heaven; salvation is through faith alone in Jesus through his death and resurrection. I still know and believe that with everything in me, over half a century since I first trusted Him. But after we trusted Jesus and became Christians in the Baptist faith, from then on, it was about manmade rules for how to live every day, and criticism and judgment for those who didn’t live by all those rules that Baptists did. Rules for every part of living. Actually that worked okay for me well into adulthood -until it didn’t. Upon leaving the Baptist church where we had grown up, we visited a non-denominational church across town – and were introduced to a whole new world of freedom in the grace of Jesus. A faith that didn’t judge others for thinking differently than the church told them to, or pound the rules and expectations into the hearts and minds of believers every week, along with generous amounts of fear of God’s judgment and wrath. I never returned to the Baptist “denomination” (in quotes because they swear it isn’t one), and we raised our children in a church where my children truly learned to live in a relationship with Jesus based on unconditional love, forgiveness, grace, and serving others by his example. Neither of them learned to judge others – at all. Sara – I feel like 90% of this could have been about me too! (Grew up in FL not the Midwest, I did go to CURF, didn’t marry a pastor but I while at CURF I did give those pre-sem guys extra cool points! ?, Etc. ) Growing up LCMS, it’s just what I did. I still am surprised every now and then when talking with those who didn’t grow up in an LCMS church about different beliefs, thoughts, traditions, etc., Which I thought were universal turns out to be Lutheran specific. Still, I wouldn’t have it any other way. Thanks for sharing, Kerri! It has been fun for me to look back and realize how much being Lutheran has been part of my culture and way of life. 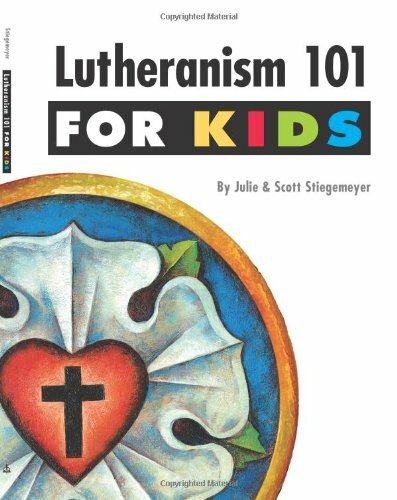 I hoped other people who grew up Lutheran would get a kick out of this looking back.